Forged and crafted by hand since 1925, Le Creuset Enameled Cast Iron cookware is a masterpiece. Each pieces is formed in its own sand mold and skillfully hand finished by more than 30 craftsmen. 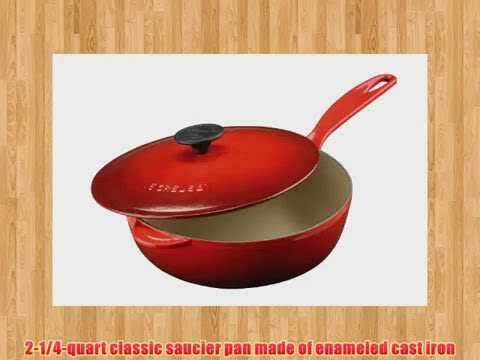 The result is a superior quality cookware that will provide a lifetime of everyday use.2-1/4-quart classic saucier pan made of enameled cast iron.